So running a Frozen Skies campaign gives me the opportunity to try stuff out beyond the typical scope of a one shot adventure. One of the ideas that I wish to develop and playtest is expanded rules for airships and combat involving them. This will of course feed into Skies of Crimson, the next book that is planned for Frozen Skies. Mentioned under the Airship Combat rules is that weapons over a certain size are able to hurt airships, meaning the options of an aircraft are pretty limited. Have a few ideas to address this as discussed below. Called Shots - Basically works the same as normal ranged combat; characters can target specific parts of the airship. This would incur a -4 penalty on the Shooting roll and can target the following locations; Engines, Controls and Weapon Mount. This attack inflicts the effects described on the Airship Critical Hit Table in Frozen Skies for the locations, but it doesn't actually inflict a wound on the airship. The idea here is that the aircraft would be disabling the airship rather than killing it outright. Gas Cells - Another idea I'm toying with is something that could allow aircraft to actually hurt an airship; targeting its gas cells. Targeting the gas cells would grant the attacking aircraft a +2 on its Shooting rolls, though I am toying with the idea of halving the airship's Toughness for these type of attacks. Gas cells would then suffer wounds as per the normal damage rules, additionally the airship will begin losing height at a rate of 1d10" per wound. Also, gas cell wounds inflict a -1 penalty on Piloting skill rolls like normal wounds and this will be cumulative with the airship's regular wounds and other modifiers. 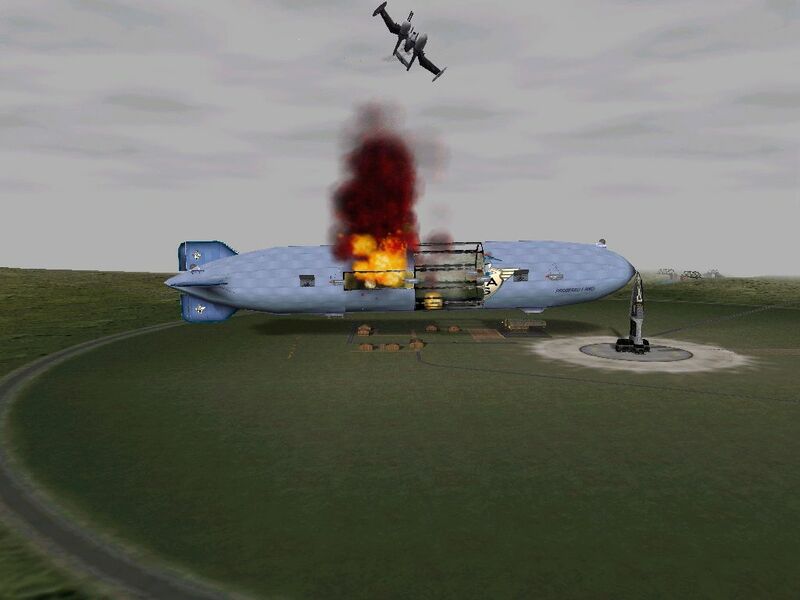 The fourth and each successive wound thereafter should be considered as wounds on the airship itself, potentially meaning that the airship will be losing altitude at a rate of 6d10" per round. This method means its easier for an attacking aircraft to do but it requires a greater effort.